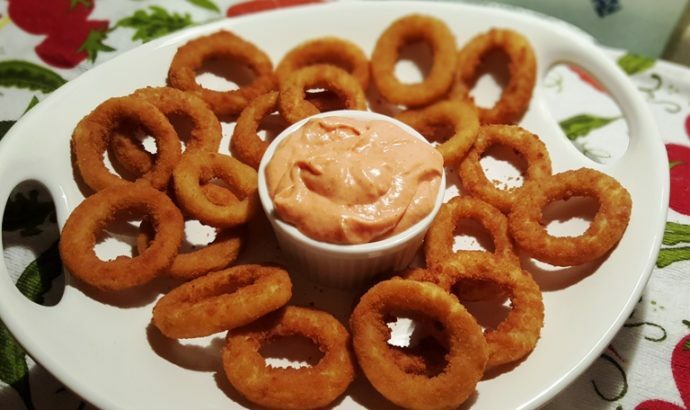 Preparing Air Fryer Frozen Onion Rings is a great way to get used to your new Air Fryer. In just a few minutes, you can enjoy, hot and crisp Onion Rings. One of the most popular food to fry in a deep fryer, after French Fries, of course, are Onion Rings! The perfectly cooked onion surrounded by a crispy and hot bread coating is just so yummy. Deep frying is messy and very caloric and cooking onion rings in the oven, generally make the coating kind of hard and chewy. I was given the GoWise USA 3.7 Quart Air Fryer, so I have been trying out various food. I’ll post a recipe for homemade onion rings very soon. Today, I am using frozen onion rings and in just a few minutes, the onion rings were completely cooked and perfectly browned. Please feel free to join the Facebook Air Fryer Recipe Group, where we share recipes, methods and fun. 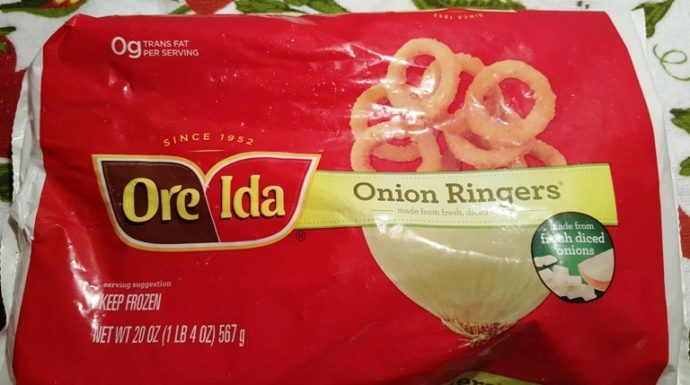 I used one half bag of Ore Ida Onion Ringers, but this fryer can hold one bag or more. Dump them into the basket of the air fryer. You will note that the basket has a protective locking mechanism so that you won’t drop the drawer on the floor. My last air fryer did not have the locking mechanism and the first thing I did, was pick up the basket and the drawer fell to the floor. Push the French Fry button and adjust time to 7-8 minutes, depending on how crisp you like your onion rings. You do not need to preheat when using the GoWise USA 3.7 Quart Air Fryer! 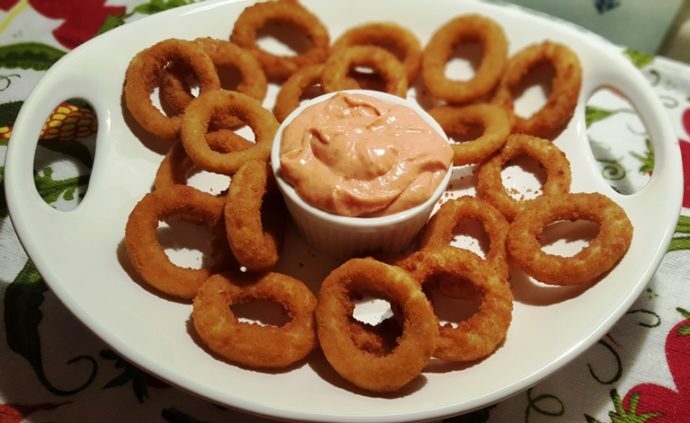 Serve the Onion Rings along with my Better than Bloomin’ Onion Ring Dipping Sauce. More Recipes to Pair With Onion Rings You Will Love. Place onion rings in Air Fryer and set temperature to 400 degrees Fahrenheit and set time for 8 minutes. Shake basket half-way through cook time, if desired. 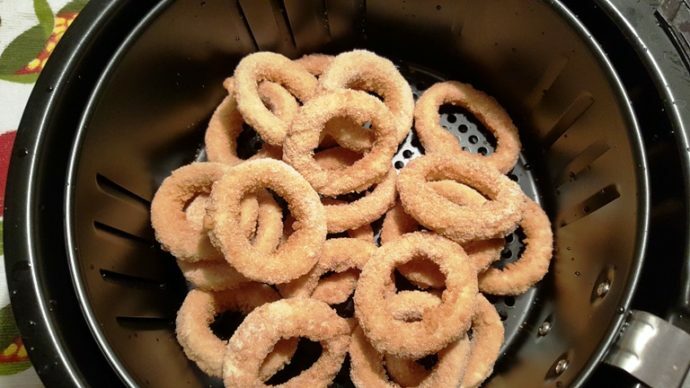 PIN this How to Prepare Air Fryer Frozen Onion Rings! Thank you for visiting. Please use the subscribe button located on the right side of any page. I am a big fan of onion recipes. 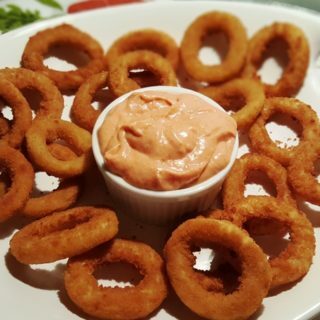 The onion rings are really mouth-watering. Heating up a bag of frozen food. How is the even a recipe? IF I could leave you negative 10 stars, I would. It isn’t as much a recipe as it is instructions for temp & time for a frozen food we all have in our freezers. I appreciate posts like this & am sure others do too. 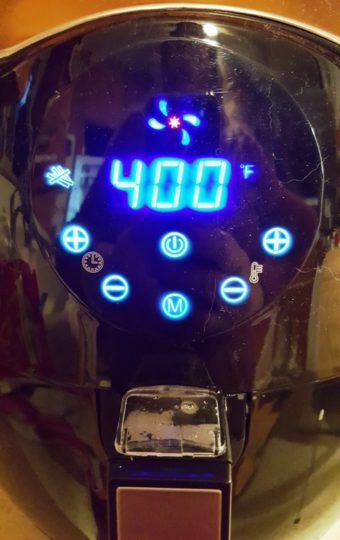 For those of us who aren’t familiar yet with our air fryer, we rely on folks who are willing to take the time to post helpful information like this so as for me, I’m grateful. Googled how to air fry onion rings. It brought me to one of my favorite instant pot sites. All I needed to know was the time and temp. Got that and a killer dipping sauce also! Did chicken nuggets according to booklet they came out cooked but not hot , did I do something wrong new to this just got it. What is the dipping sauce recipe?